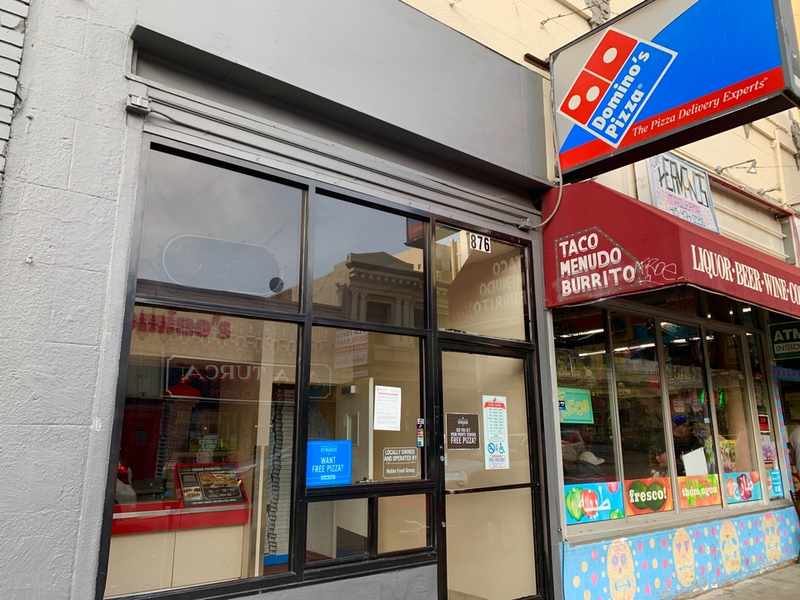 In this edition, a national pizza chain is dinged for violations in the Tenderloin, a new Chinese-style kitchen has opened in the Inner Sunset, and a Castro Mexican eatery has decided to close for renovations. Fans of "meatZZa pizza" and cinnamon bread twists may have to forgo their Domino's Pizza fix for the time being. The pizza chain's Geary Street location -- one of only four within city limits, and the only one near the city center -- has been forced to close, due to health code violations. 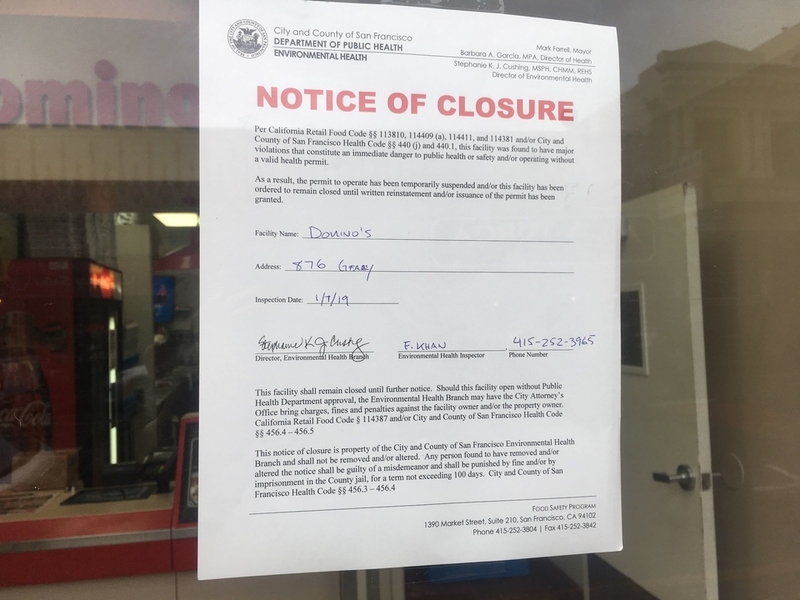 An official Department of Public Health notice of closure, posted to Domino's window, said that it was found to have "major violations that constitute an immediate danger to public health or safety." However, it's not clear what specific violations caused the shutdown, or when Domino's will return. We reached out to the Department of Public Health inspector assigned to the case, but didn't receive a response by press time. The agency also hasn't updated its public records for the location, though Domino's last review, in February 2018, received a passing score of 86. We'll update this post if we hear back. In the meantime, Domino's lovers in the city center will need to order from the Inner Richmond, Bayview or Outer Sunset locations. 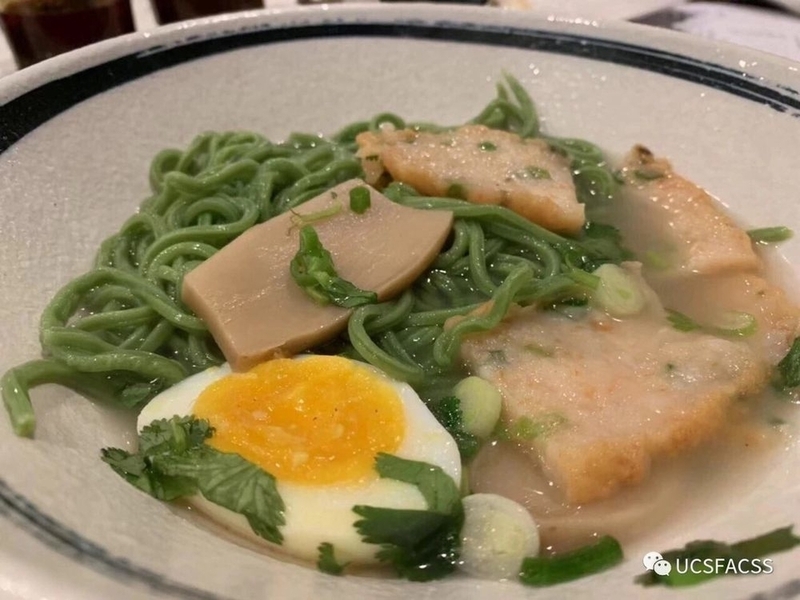 Next, Hoodline tipster C Hollins wrote in to let us know that a new restaurant, called Zhuo Kitchen, is now open in the space once occupied by Meshi Sushi in the Inner Sunset. "They specialize in housemade noodles," said our tipster, with a colorful array of flavors: yellow (turmeric), red (beet) and black (squid ink), among others. In addition to its rainbow of noodles, the restaurant serves an assortment of grilled skewers, like beef sirloin with herbs, beef tongue, chicken wings with garlic, prawns, okra and more. Rounding the menu out are small plates, such as Chilean sea bass collar, pan-fried lotus root stuffed with shrimp, and ma po tofu with spicy beef sauce. Zhuo Kitchen is open daily for lunch from 11 a.m.-3 p.m. and for dinner, 5-10 p.m. 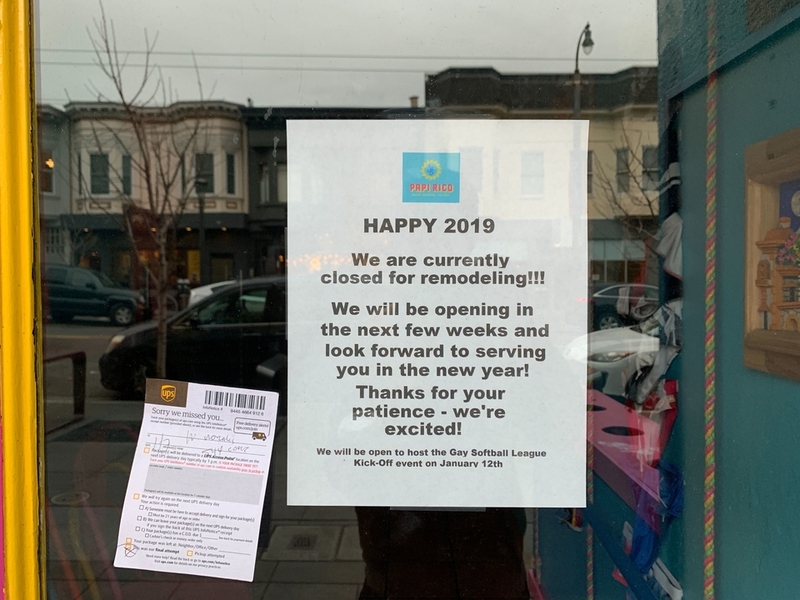 Though the Castro's Papi Rico has only been in business since May 2018, the Mexican restaurant announced via its Facebook page last month that it was closing up shop from December 18-30 for renovations. That process is taking a little longer than expected, and Papi Rico's doors remain closed in the new year. "We are working on some plumbing, electrical, lighting and design upgrades during the slower winter season," co-owner Rick Hamer told Hoodline. "You know how design goes: it's very difficult to predict exactly when it will be completed, but we decided to do it during the slower part of the year." Hamer said to expect a new big-screen TV "for movies in the back," along with brand-new furniture, improved signage, "and a lot of other fun additions." Thank you very much to C Hollins. for the tip! If you've seen something new in the neighborhood, text your tips and photos to (415) 200-3233, or email tips@hoodline.com. If we use your info in a story, we'll give you credit.